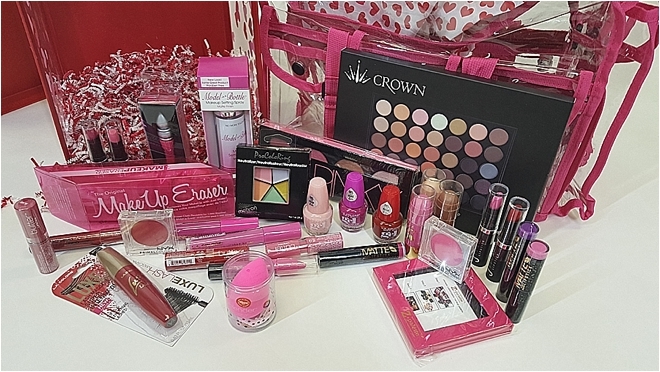 What if you woke up tomorrow to discover $300 worth of the world’s most prized professional cosmetics waiting for you to dig in…and doll up?? That’s exactly what will happen for ONE lucky Houston bride-to-be, on the morning after next week’s incredible, ultra-luxe I Do! 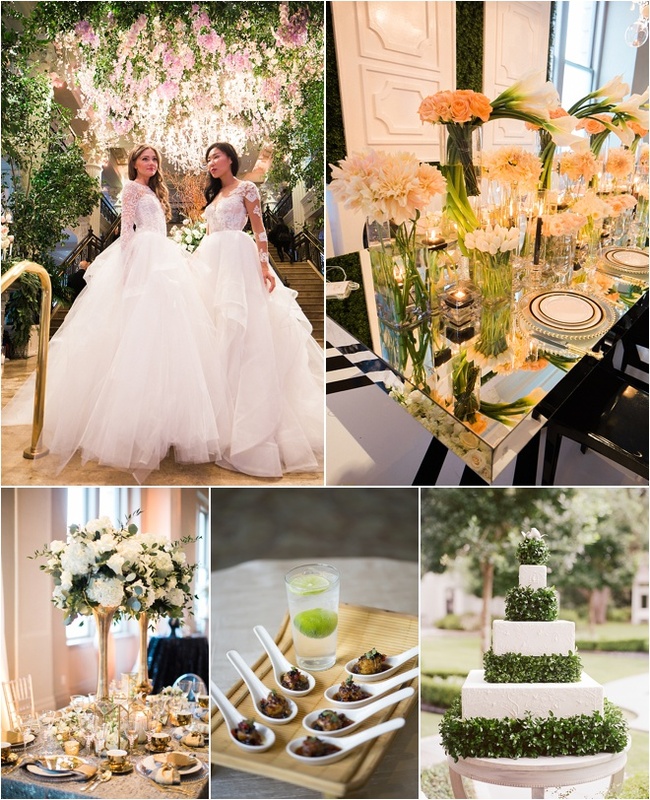 Wedding Soiree at The Corinthian. How’s that? 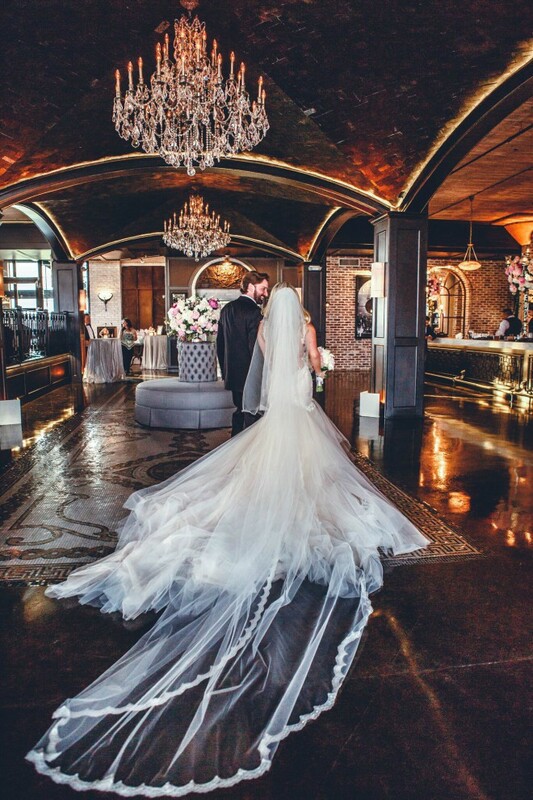 Well…one bride who purchases her tickets from now through midnight tomorrow to Houston’s signature wedding fantasyscape & VIP cocktail party—coming to The Corinthian on Thurs., Feb. 4 @ 6 p.m—will SCORE a hand-picked selection of the best professional makeup products of 2016, courtesy of The Make-Up Artist Project, Houston’s top resource for pro makeup artists!! Contouring, highlighting, brows, lashes, drama, transformation—the MUA Project’s experts are the best in the business, and they’ve hand-selected a BUNCH of their absolute favorite cosmetics and tools, just for us…well, just for YOU, Houston bride. Purchase your I Do! Wedding Soiree pre-sale tickets between NOW and 11:59 p.m. Friday, Jan. 29. 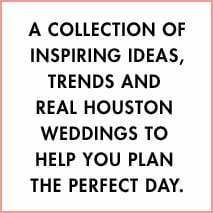 Register with Weddings in Houston to receive VIP event invitations, special vendor offers and entry for exclusive bridal, wedding and travel giveaways. Speaking of which…when you purchase your tickets and enter to win our MUA Project Giveaway, you ALSO will automatically be entered to win our 5-Night Island Getaway at Bermuda’s most beautiful honeymoon resort, Pompano Beach Club. We’ll notify our winners of each giveaway prior to the I Do! Wedding Soiree, and announce winners live, at our fabulous event. Do NOT miss this opportunity, darlings. Get in it to win it…and get yourself, your boo, and your entourage to the I Do! Wedding Soiree at The Corinthian, next Thursday evening. It’s like nothing you’ve ever experienced!! 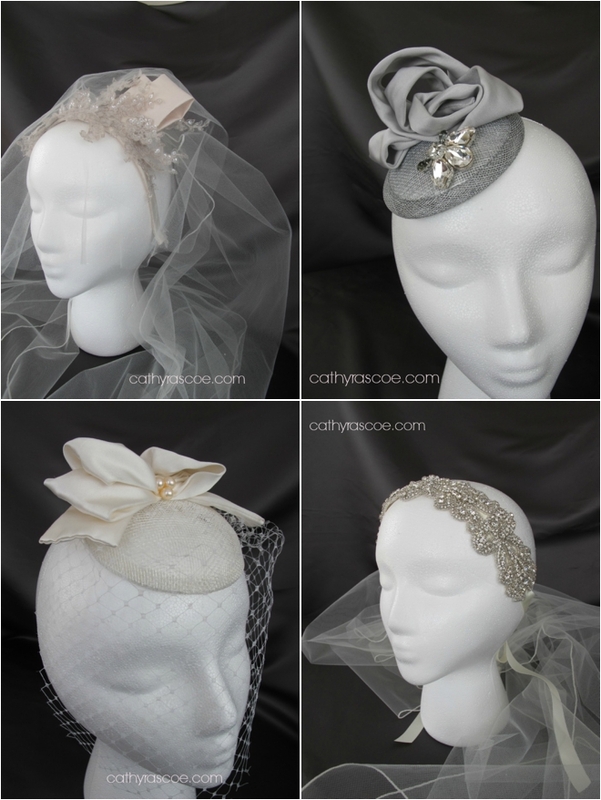 Cathy Rascoe Custom Bridal Headpiece Giveaway Ends 9pm Tomorrow! We are so excited about our upcoming spring cocktail party and wedding showcase that we’ve teamed up with top Houston milliner Cathy Rascoe for a very exciting giveaway: One lucky bride-to-be who reserves her I Do! Bridal Soiree at The Corinthian tickets by 9pm this Friday, April 11, will work directly with Cathy Rascoe to create a custom bridal headpiece worth $500. Wondering about the artist behind this uniquely awesome giveaway? Our exclusive Q&A sesh with the designer herself should shed some light on her lovely work! 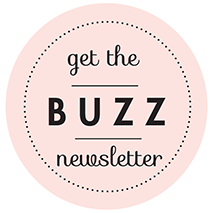 Houston Wedding Blog: How did you get your start in millinery? Cathy Rascoe: I have always had a fascination with ladies’ hats, stretching back to childhood. I started in millinery when I was getting married and I could not find any bridal headpiece that I thought was well made and fit my design aesthetics. I created my own piece for my wedding—which, frankly, I would never even show to anyone today. It was not a great design, but it was what I could do at the time, so it was better than what was available or that I could find, at least. HWB: What do you love about bridal millinery? CR: When I’m creating pieces I completely lose myself in my work. I lose track of time, space, and all sense that there is anything else in the world except the piece that I’m composing. It is thrilling to be lost so completely in the design phase. I become so emotionally involved that I often end up in tears when I am finished. HWB: What’s involved in creating a bridal headpiece or veil? CR: The most important characteristic, I find, is the beauty. Each piece wants and needs to be beautiful. I don’t strive to create avant-garde or unusual pieces. My pieces are timeless and classic. Each piece requires many hours of design, engineering, sewing, finishing and composition. Each piece has its own soul, in a way that beams out to the world and shouts, “Look at me! I’m gorgeous!” Guests should literally gasp when they see my brides—and it happens a lot with my pieces. It is very gratifying and satisfying to be able to connect with people in such a visceral and emotional manner. 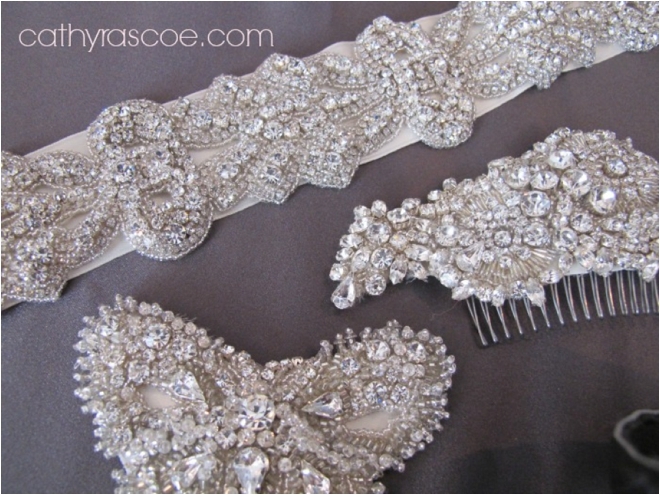 HWB: What does a custom headpiece add to the bride’s ensemble? CR: To me, a bare head is incomplete. Have you seen pictures of brides with just a veil or a pretty hairstyle and thought, “Meh?” The most iconic brides throughout time have had an unforgettable headpiece. I feel a duty to help women to realize that they can be insanely gorgeous with even just a little something on their head that represents their personality. Meet Cathy Rascoe in person at the extraordinary I Do! Bridal Soiree at The Corinthian, Thursday, April 17, from 6-9 pm. Purchase your all-inclusive $25 presale tickets NOW, before they sell out! We’ll see YOU at I Do!